Hand crafted from solid North Pacific Alder Hardwood then finished in durable natural laquer. Hand crafted from solid North Pacific Alder Hardwood then finished in durable natural laquer. 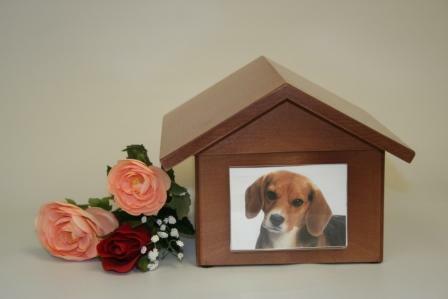 These Doghouse style urns are available in 50, 100, 180 cubic inch capacities and include acryilic photo frame as shown.